Will Windows 7 live up to the pre-release hype? Will Windows 7 have strong sales? Microsoft hopes that Windows 7 will banish our surprisingly sour memories of Windows Vista. So far, the reception has been overwhelmingly positive. But can the honeymoon continue? After all, before the Windows Vista launch we were also talking about an OS that would have a big impact. But it didn't. So are we in danger of being sucked in by the hype machine again? And how will Windows 7 actually sell? 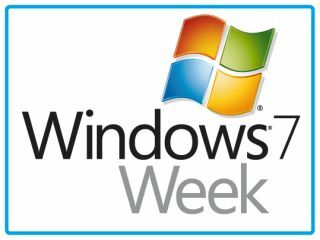 As it's Windows 7 Week on TechRadar and the OS is unleashed on Thursday, we asked those in the know to tell us what they think. Dale Vile, Research Director at analyst Freeform Dynamics says things are dissimilar this time around. "There are two big differences which make the kind of backlash we saw with Vista much less likely. "Firstly, Microsoft is not directly hyping Windows 7 in the same way as it did with Vista; most of the positive buzz is coming from 'the community'. No 'The wow starts now' baloney this time thankfully. "Secondly, all indications are that Windows 7 is actually ready for mainstream use, which, in hindsight, was not true of Vista when it was released," adds Vile. "Microsoft has very much learned its lesson from the Vista experience so I do not anticipate anywhere near the same level of pure subjective hype, at least from Microsoft directly." But, of course, we will see it from other interested parties. Vile adds, "I am sure we will see some aggressive marketing from OEMs and retailers, though, especially in the run up to the holiday period, as Microsoft partners see this as an opportunity to start making up the shortfall in consumer business everyone has suffered from in the downturn." So will Windows 7 give the PC market the lift it needs in the run up to Christmas? Jeremy Fennell, Category Director for PC World, somewhat predictably believes Windows 7 will "have a positive effect on the demand for software and hardware over the coming weeks [based on] the feedback we have received from customers." The retailer quotes statistics that 19 per cent of customers are thinking of buying a new laptop or desktop and a further 15 per cent say they will buy the Windows 7 upgrade box. However, many analysts don't share such a rosy view. Annette Jump, Research Director in Gartner's WW Client Computing Team, doesn't expect a huge boost on worldwide PC sales in the lead up to Christmas. "Sales should be in line with what we have seen during Windows Vista introduction in the market in early 2007." "It is true that we might see slightly weaker sales in early October, followed by slightly stronger sales in November, but for the fourth quarter overall we believe that the net impact on WW PC sales will be very minimal." However, as Jump points out, an early October lull should have been avoided by Microsoft's Windows 7 upgrade program – available on new PCs sold after 26 June this year. In terms of upgrade versions, Vile agrees with PC World that a good opportunity is there because of the improved reception for Windows 7 – this feel good factor will have a knock-on impact in terms of sales. "Windows 7 will run acceptably on many more older machines, provided you install a relatively cheap memory upgrade to go with it," he explains. "Our own experience is that the CPU requirements for Windows 7 are similar to XP, it's just that it needs more RAM. What I am picking up, in contrast to Vista, is quite a lot of genuine confidence (relief in some cases) based on dealers' own experimentation." "There is an important factor that I have heard repeatedly from dealers. Vista struggled on low spec machines, almost guaranteeing unhappy customers, so many dealers stopped pushing boxed upgrades because they didn't want the fallout." Indeed, in TechRadar's experiments with different versions of Windows 7, we've found the OS to run extremely well on even very low-spec'd machines – the performance on low-powered netbooks has been especially surprising. Current page: Will Windows 7 live up to the pre-release hype? Next Page Will Windows 7 have strong sales?